Do you love body piercings? Much of the fun in getting pierced is coming up with new, unique piercing ideas and jewelry combinations. 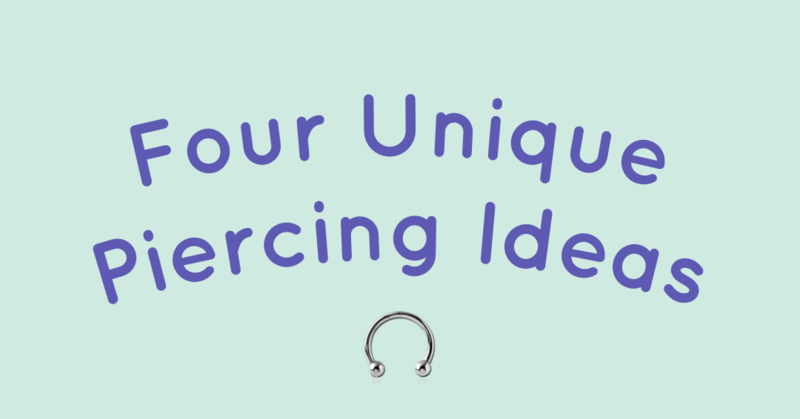 With National Piercing Day coming up on May 16, 2019, we’ve put together a guide to help you decide which unique piercings you may want to plan for. There’s virtually no limit to how creative you can get. As a result, choosing your next piercing offers the opportunity to use your imagination to its fullest. The world of piercing is filled with plenty of one-of-a-kind piercing ideas and styles, so you can set off on a piercing journey that’s completely suited to your style and personality. Getting a new piercing is an important decision, so take the time to consider your options before taking the leap. 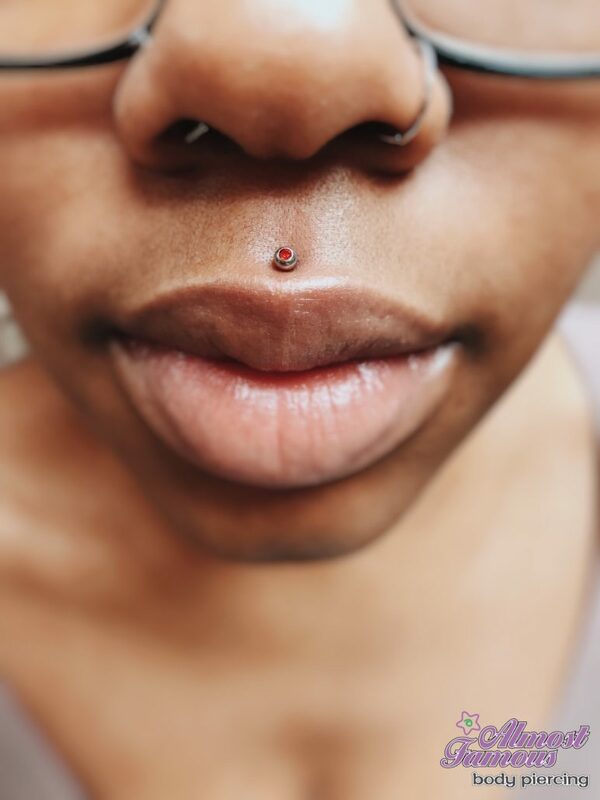 Also known as a philtrum piercing, the medusa is a statement-making style that is bold yet attractive. Located directly above the cupid’s bow of your upper lip, this piercing can be daring or simple, depending on the jewelry you choose to wear. If you’re looking for a unique take on the classic lip piercing, a philtrum piercing might be the perfect fit for you. Pain isn’t a huge concern with this piercing – most people say it’s a quick pinch that’s comparable to any other facial piercing. 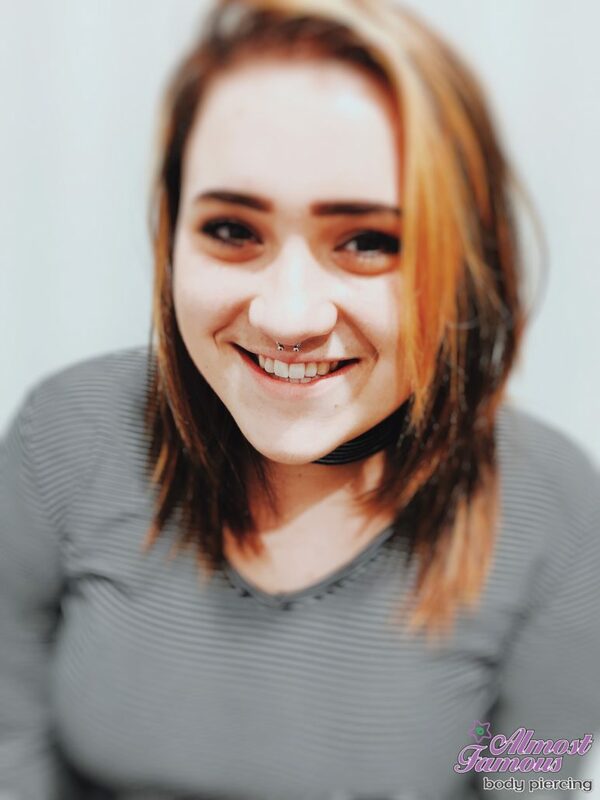 A septum piercing is a perfect balance between classic and unique, offering a great middle ground for many body piercing fans. This style passes through the nasal septum, which is the portion of skin or “wall” separating the left and right nostrils. Many people choose variations of horseshoes or hoops for their septum piercing, customizing color and details for added fun. If you’re worried about the pain with getting a septum piercing, there’s good news – the unique placement of this piercing actually falls in what we call the “sweet spot” in front of any cartilage, and most customers say they hardly felt the piercing being done! One of the most popular places on the body to add piercings is the ears, and there’s no shortage of options for putting a unique spin on this classic placement. A Daith piercing passes through the innermost cartilage of your ear, called the crus of the helix. 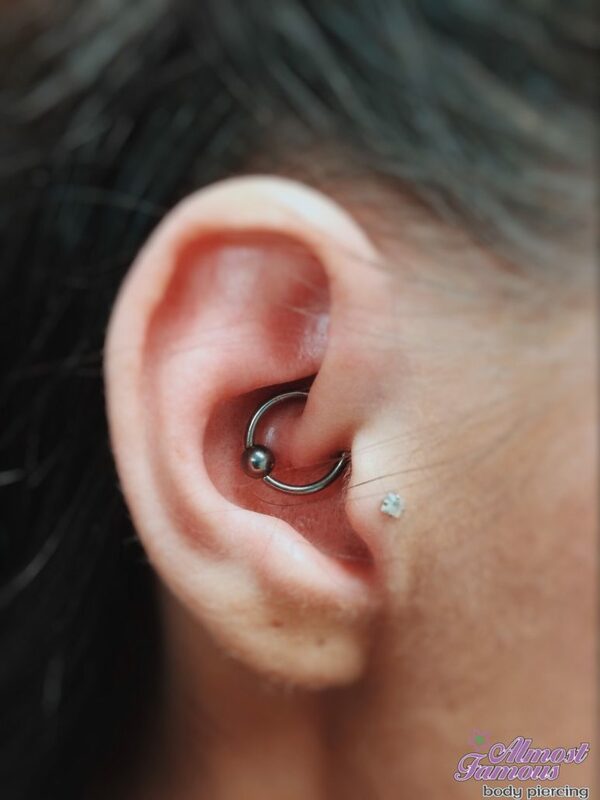 Daith piercings have become increasingly popular in the last few years with customers trying them out to see if they help with migraine relief. Clients also love the fact that there are so many jewelry options for the Daith piercing. Initially, we do the piercing with either a hoop, horseshoe, or curved barbell which still offers a lot of choice in colors, gems, and metal colors. After the piercing is healed is when the fun really happens, though. Then there is no limit to the creativity you can put into your jewelry. Another creative spin on ear piercing, the rook piercing is placed in a spot called the antihelix of the ear. 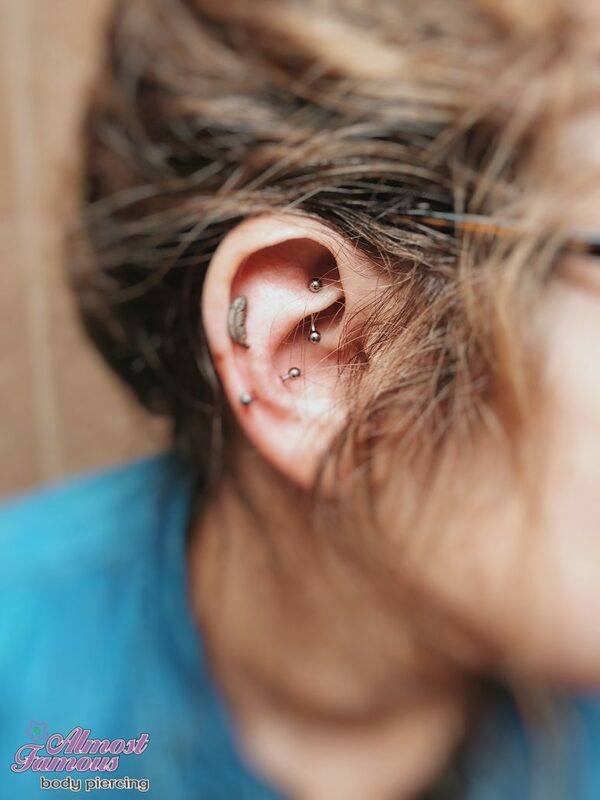 Rook piercings can be a stylish addition to a collection of ear piercings, allowing you to mix and match jewelry for a totally unique look. Most people put the rook piercing pain level somewhere around average as far as cartilage piercings go. Looking for a friendly, professional piercing shop in Minnesota, Illinois, North Dakota, or Montana, where you can try out a few unique piercing and jewelry ideas? Almost Famous Body Piercing is your one-stop shop for professional body piercing and stylish body jewelry. Our team is happy to help you get creative with your next piercing, whether that means giving you new piercing ideas, helping you choose between piercing styles, or recommending high-quality jewelry designs to fit your personal style and anatomy. When you’re ready to step outside the box with your next body piercing, come into Almost Famous Body Piercing. Our shop takes walk-in appointments only, so you can stop by for a piercing whenever inspiration strikes.